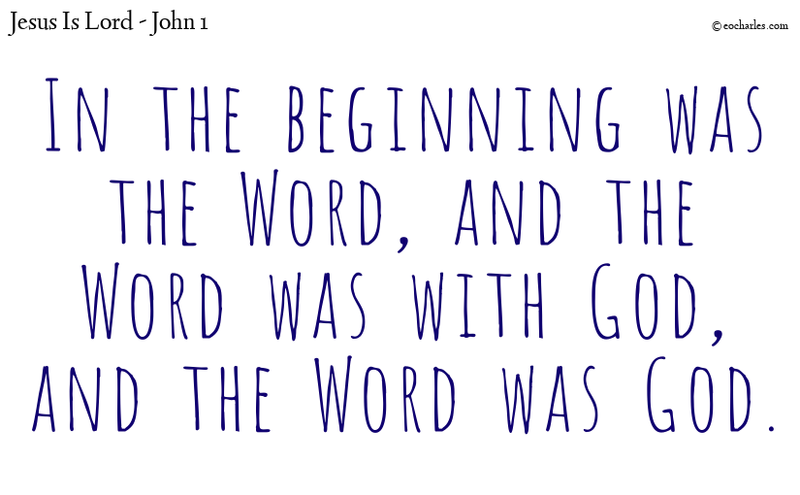 Joh 1:1 From the first he was the Word, and the Word was in relation with God and was God. Joh 1:3 All things came into existence through him, and without him nothing was. Joh 1:4 What came into existence in him was life, and the life was the light of men. Joh 1:5 And the light goes on shining in the dark; it is not overcome by the dark. oh 1:9 The true light, which gives light to every man, was then coming into the world. Joh 1:10 He was in the world, the world which came into being through him, but the world had no knowledge of him. Joh 1:11 He came to the things which were his and his people did not take him to their hearts. Joh 1:13 Whose birth was from God and not from blood, or from an impulse of the flesh and man’s desire. Joh 1:14 And so the Word became flesh and took a place among us for a time; and we saw his glory–such glory as is given to an only son by his father–saw it to be true and full of grace. oh 1:18 No man has seen God at any time; the only Son, who is on the breast of the Father, he has made clear what God is.